Birmingham’s Mac arts centre has attracted more than 1.7 million visitors since it reopened in 2010 following a £15 million renovation. 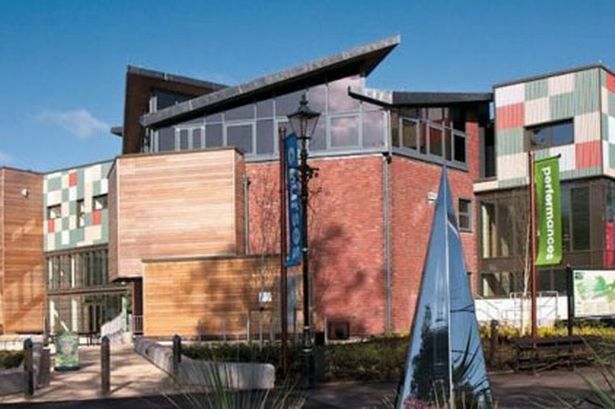 Now the centre, based in Edgbaston’s Cannon Hill Park, is hoping to build on that success with events taking place this summer during the Cultural Olympiad. The rebuild saw the centre closed for two years while new performance studios, a gallery, conference rooms and enhanced public facilities were created. Since it reopened its doors, events have included performances, courses, film screenings, exhibitions and festivals – securing its position as the most popular arts centre in the Midlands. Dorothy Wilson MBE, Chief Executive and Artistic Director said: “We are delighted that so many people from the local area and far beyond are visiting Mac Birmingham. We like to think that our offer is unique – genuinely open to all and providing access to high quality arts experiences which are reasonably priced. “Our attendance figures, which are growing year on year, are a fantastic endorsement and show that the public clearly support and enjoy what we’re doing. The extensive refurbishment has allowed the centre to provide more support for regional and local artists. More than 1,000 artists and companies used facilities at the Mac’s studio spaces. Last year, the arts centre won two awards from the Royal Institute of Chartered Surveyors for ‘Project of the Year’ for the building project and outstanding ‘Community Benefit’, and was a runner up in the National Lottery Awards, again for the building project. The Mac is planning to attract brand new audiences this summer by playing a role in the London 2012 Festival, hosting the UK premiere of internationally renowned composer Heiner Goebbels’ Walden on June 23. A one day music festival with One Beat Sunday on July 22, celebrates Birmingham’s musical talent, bringing together bands from across the city in the outdoor arena.